Underdrive Power Pulleys work to 'free up' horsepower. Any accessory that spins from the main drive belt is using up power. That's power that could otherwise be used to move the car. By giving some of that power back to the engine, you can make the car faster! It's like FREE HORSEPOWER! 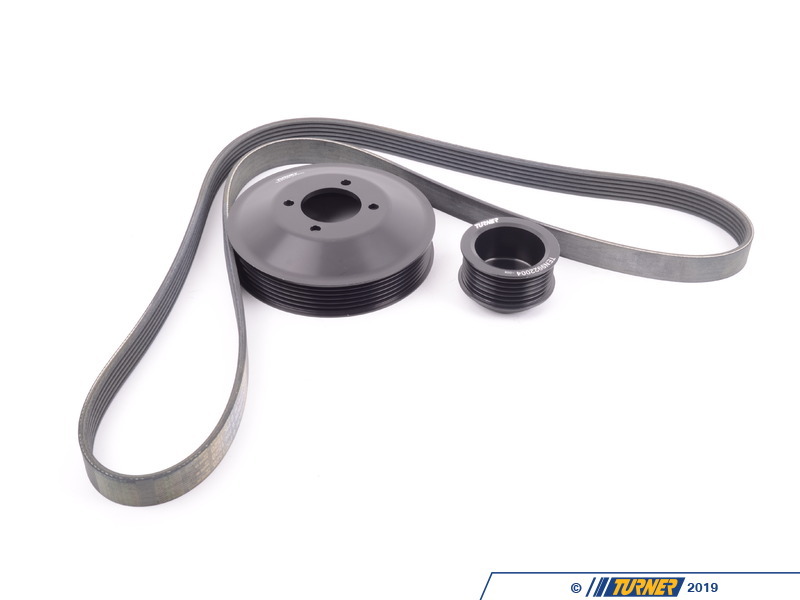 Underdrive pulleys for your BMW will slow down engine-mounted accessories - the water pump and alternator. These systems contribute to 'parasitic losses' - power lost from what the engine could produce if it did not have these systems. Since less energy is used to move them, that power is transferred back to the engine and used to propel the car. Our pulleys give a 10-20% reduction in rotation, releasing up to 11hp on most BMW six-cylinder engines. There's also a small but noticeable improvement in throttle response too! We have done extensive testing and development work, both on and off the track, to ensure that the accessory systems function as they should. 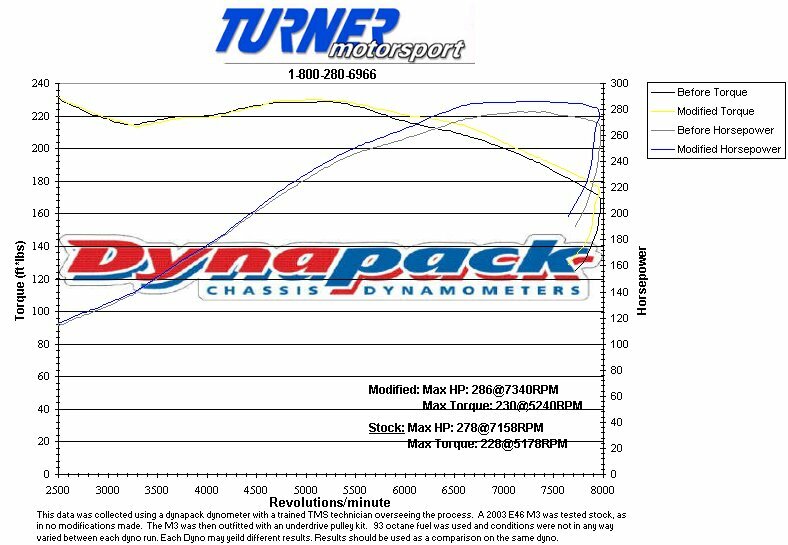 On our Racing pulley kits we actually underdrive certain components more so we feel our Street pulleys are an ideal compromise between power/torque gains, reliability, and system performance. 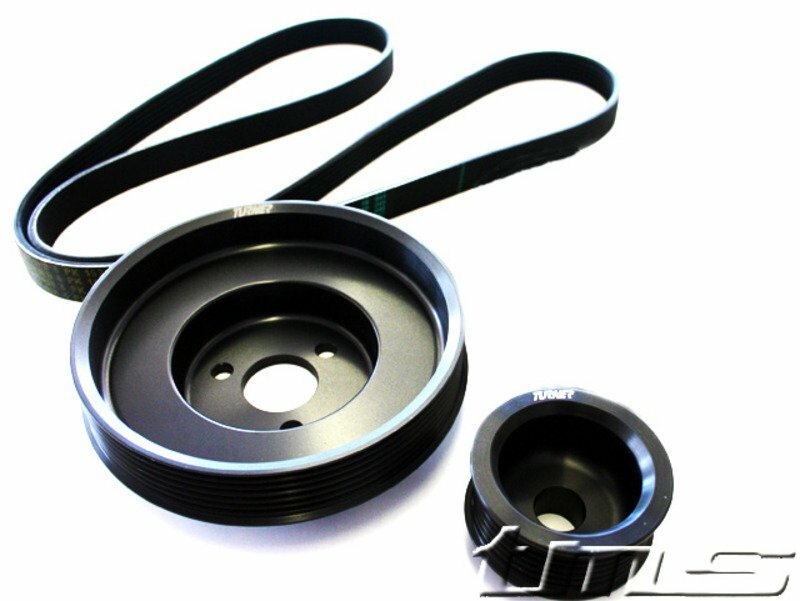 Our pulley kits have been on the market for over ten years, and used in all of our own cars, with zero component failures related to their use. 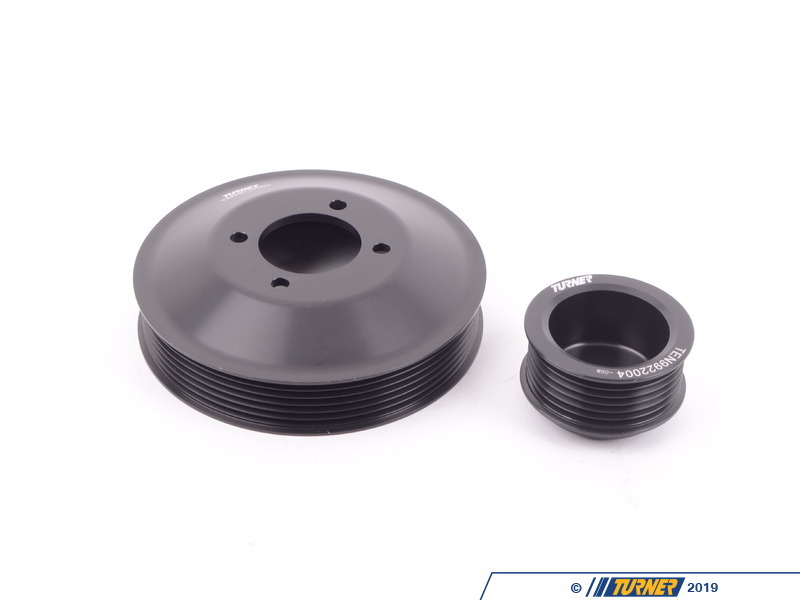 Our pulleys are made from T-6061 aluminum and finished in a durable black hard anodize that is very resistant to wear, chemical exposure, and heat. We designed our pulleys to look similar to the factory parts but also to be stronger and, in most cases, slightly lighter too. For example, a Turner alternator pulley is less than half the weight of the stock steel pulley! With our hardcoat aluminum you will never have to worry about a serious failure of a stock plastic pulley. A 'stealth' approach to aesthetics was our goal and we let the results speak for the pulley design. Installation is straight forward and easy with simple hand tools. Removal of the fan is required for access to the front of the engine. Total install time should be around 1.5 hours. 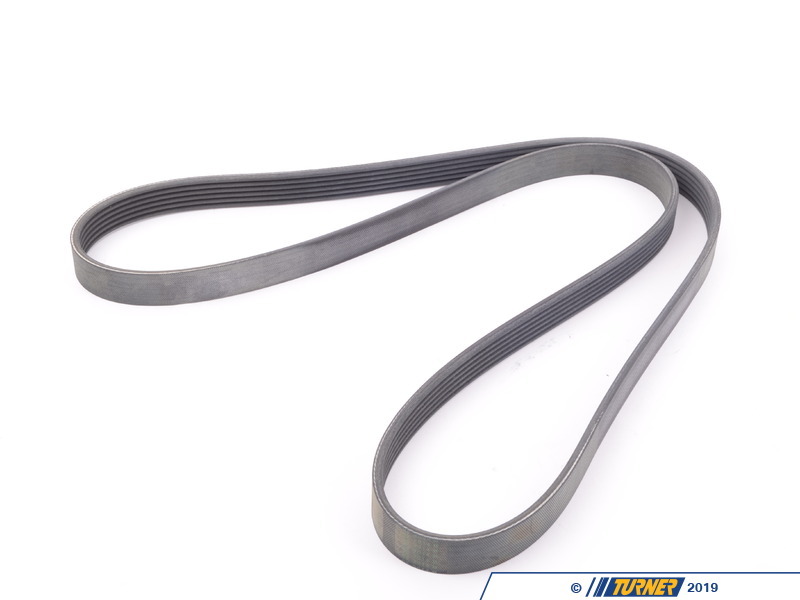 A new longer belt is included and we also recommend replacing the separate A/C belt, belt tensioners, and the guide and deflection pulleys at the same time. Underdrive Power Pulleys work to 'free up' horsepower. Any accessory that spins from the main drive belt is using up power. That's power that could otherwise be used to move the car. By giving some of that power back to the engine, you can make the car faster! It's like FREE HORSEPOWER !